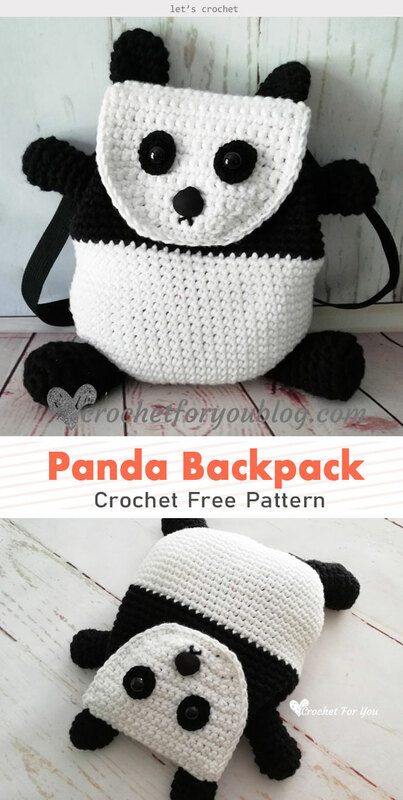 This Panda Backpack Crochet Free Pattern is amazingly adorable. It will be loved by every children. They can carry their most important stuffs and water bottle for outside activities. This Panda Backpack is suitable for both of boys and girls. The finished size of the bag is 9″ height without ears x 8.75″″ wide without hands and legs, which is perfect for toddlers and kids. A best gift for Birthday party or Christmas celebration. Thanks Crochet For You for sharing these free crochet patterns. The links for the free patterns are provided below photos. Happy crocheting.